Church House Westminster hosted up-and-coming fashion designer Huishan Zhang’s Ready To Wear Fall 2017 collection as part of London Fashion Week (LFW). The show on Monday, 20 February, which was broadcast around the world via a live stream on the LFW website, took advantage of the venue’s spacious Assembly Hall, with models taking to a catwalk which circulated the entire room. Huishan has been a regular feature on the LFW Schedule, with celebrity supporters such as Gwyneth Paltrow, Keira Knightley, Helen Mirren, Amelia Dornan, Naomi Campbell and Samantha Cameron wearing his collections. 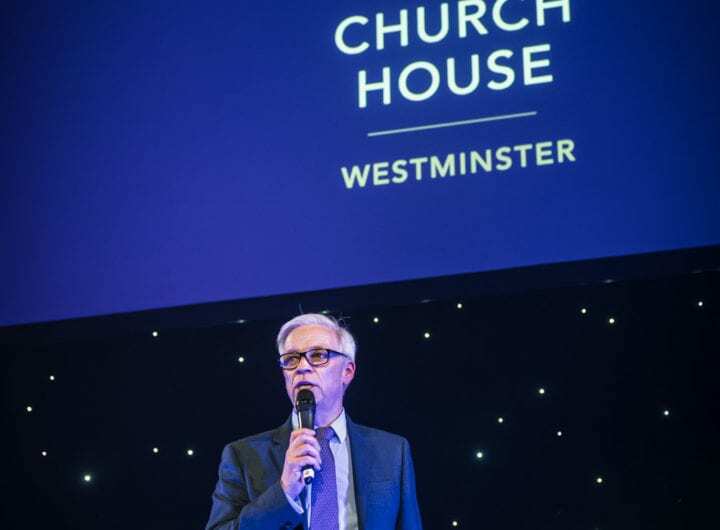 For more information about Church House Westminster please contact sales@churchhouseconf.co.uk. RIBA Venues, the conference and events arm of the Royal Institute of British Architects (RIBA), based at 66 Portland Place in London, recently played host to the Wales Bonner fashion show on 8 January 2017. The event, which took place during London Fashion Week, showcased Wales Bonner’s 2017 winter/ autumn collection to 150 guests in the venue’s RIBA Gallery. Acclaimed fashion designer Grace Wales Bonner won the L’Oréal Professional Talent Award for her graduate collection and Emerging Menswear Designer at the British Fashion Awards in 2015. Her work explores representations of black male sexuality and identity which is informed by research that encompasses critical theory, composition, literature and historical sources. To find out more about RIBA Venues click here. Looking for gift inspiration? Perhaps something for your partner, boss, client or PA? Visit The Clubhouse’s Christmas Market on Wednesday, 7 December between 12pm and 5pm, where a number of their members and other local businesses will be showing off their wares, including Snow Leopard Vodka, Broadbent Gallery, London Road Jewellery and Sweet Reason. For more information please contact Elizabeth Faichney on elizabeth@theclubhouselondon.com. To get you all in the spirit for Christmas, the team at 8 Northumberland Avenue have compiled a list of the best festive market locations in London for 2016. Although not specifically a market, Selfridges Foodhall holds endless delight for foodies. Find gifts to wow everyone from your mother-in-law to your pooch at this treasure trove department store. The highlight of the Southbank has to be the wonderful scenic views of London’s great landmarks. A short walk over the bridge is Boyds Grill & Wine Bar where you can come in out of the cold for a bottle of wine and a free cured meat plate. This iconic Christmas market is a great place to go with family during the day, especially if you have little ones. There is so much to do and see including fairground rides, beautiful markets and ice-skating. To find out more about 8 Northumberland Avenue click here. During this year’s London Fashion Week, The Green Carpet Challenge (GCC) united with BAFTA and the British Fashion Council to present ‘A Night to Remember’ hosted by Colin Firth, Keira Knightley, Anna Wintour, Natalie Massenet, Livia Firth, Amanda Berry, William Vintage and the Metropolitan Museum of New York Fashion Institute curator Andrew Bolton with Andrea & Guido Bonaveri. ‘A Night to Remember’ celebrated fashion from the world’s iconic red carpets – from the movies to the Met Ball and unveiled a unique exhibition of iconic vintage couture gowns discovered by William Vintage. Undeniable red carpet icons, they exemplify the values of artisanal skills and handcrafting from the 20th and 21st centuries with work by Hubert de Givenchy to John Galliano and Alexander McQueen. The event also saw an eco-world first: the unveiling of Bonaveri’s eco-mannequins. Bonaveri is world-famous for creating mannequins for the fashion industry and now launches the first biodegradable mannequin. Guests including Victoria Beckham, Helena Bonham Carter, Joely Richardson, Luke Evans, Arizone Muse, Amanda & Tallulah Harlech, will.i.am, Caroline Rush, Mario Testino, Sabine Getty, Erin O’Connor, Daisy Lowe, Caroline Sieber, Christopher Bailey, Henry Holland, Stephen Jones, Erdem, Matthew Williamson, Hannah Weiland, Molly Goddard, Portia Freeman, Pixie Lott, Justin O’Shea, Laura Bailey, Lauren Santa Domingo, Nicole Farhi and Bianca Jagger attended. Following the presentation, was the premiere of ‘The First Monday in May’, Andrew Rossi’s feature capturing the collision of high fashion and celebrity at one of the globe’s biggest fashion events: the Met Gala, famously chaired every year by Anna Wintour, artistic director, Conde Nast. To find out more about BAFTA or to make a booking click here. Photography supplied by Dave Bennett from Getty.